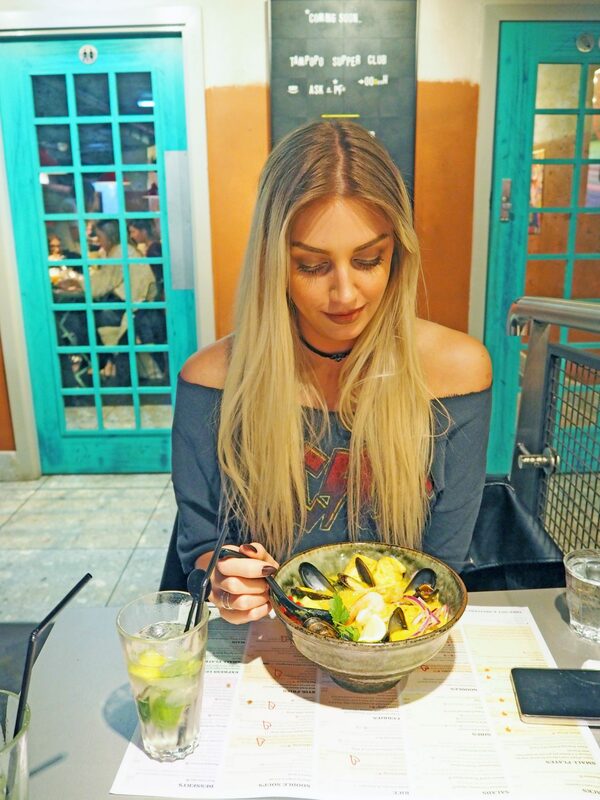 I recently headed to Tampopo in Manchester’s Corn Exchange to try out some of their new and delicious menu options. 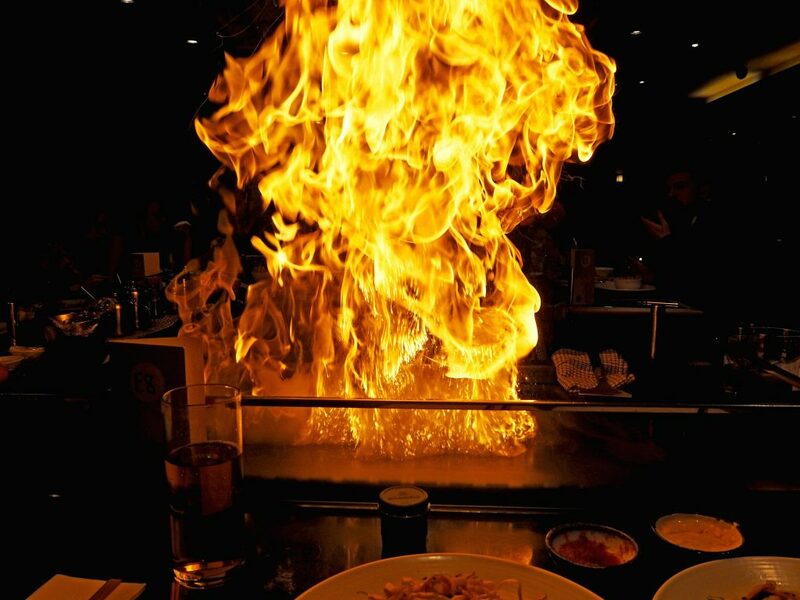 I love Asian food, so I was delighted when I got an invitation to my nearby restaurant to pick some of the dishes to try. Upon arrival, the lovely host showed us to our table and gave us some help with finding our way around the menu, and what we would be trying to start with. 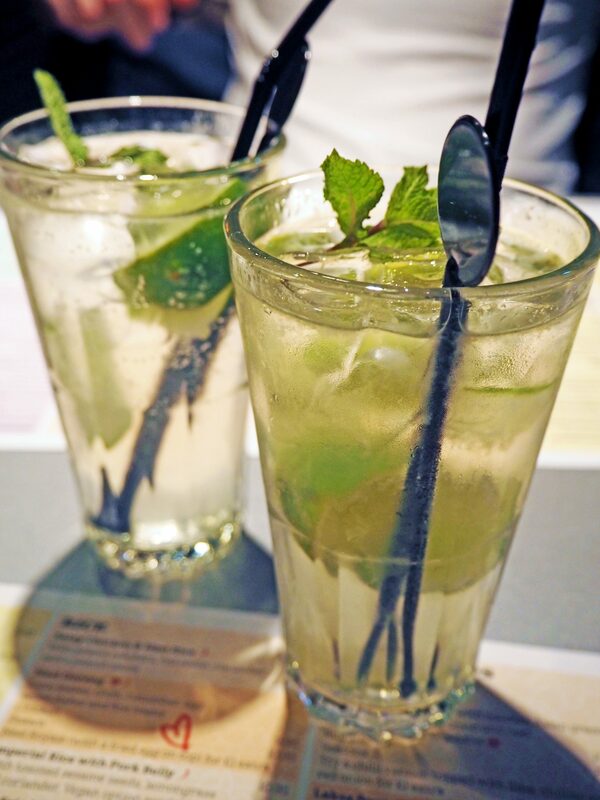 We ordered a couple of refreshing Cucumber and Elderflower Collins’ to accompany our starter, which soon arrived in the form of a delicious looking sharing platter. 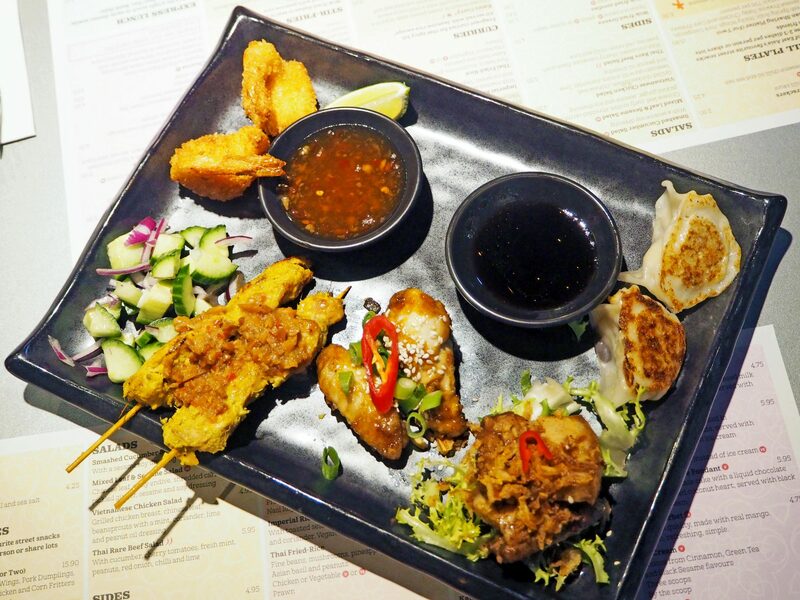 The platter was the perfect way to showcase a selection of the amazing starter plates on the menu. Ours contained the Sticky Wings, Pork Gyoza, Coconut Prawns, Balinese Pork Belly, and Satay Chicken. The selection was just delicious – everything was cooked to perfection and there was a great mix of different flavours and textures. 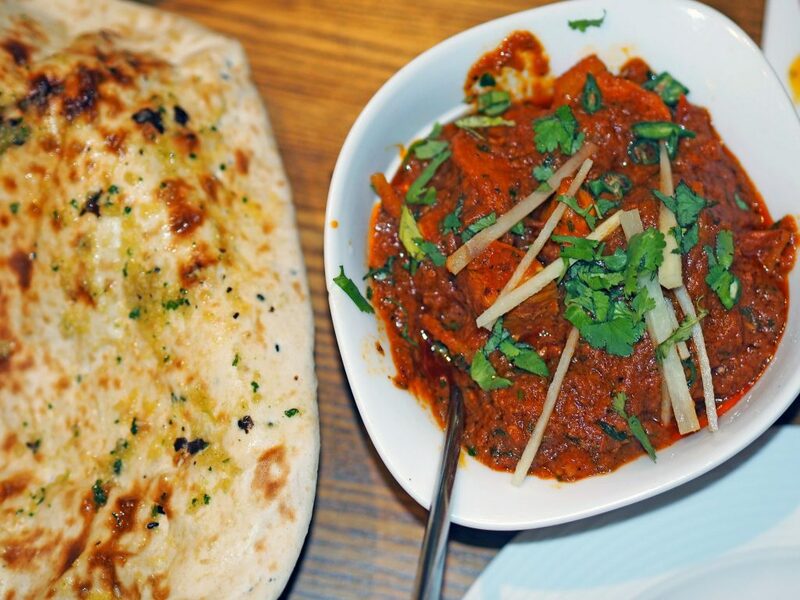 It was the perfect amount of food to get our tastebuds tingling for the main courses. 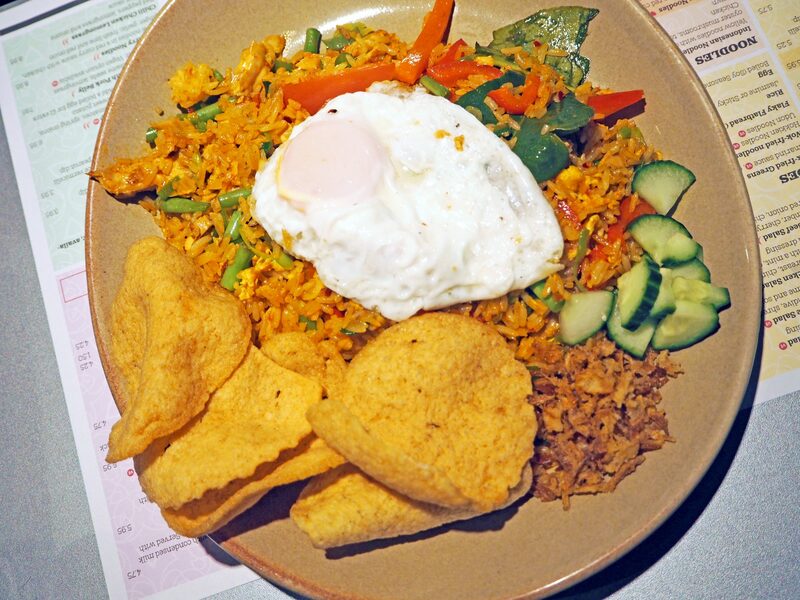 Jay opted for the Nasi Goreng to start – which was a generous portion of authentically flavoured rice, with lime leaves, chilli, cucumber, egg, onion flakes and fine beans. You can choose between chicken and prawn if you want to add a protein to the dish, and it also comes as ‘Nasi Royale’, with a fried egg on the top. 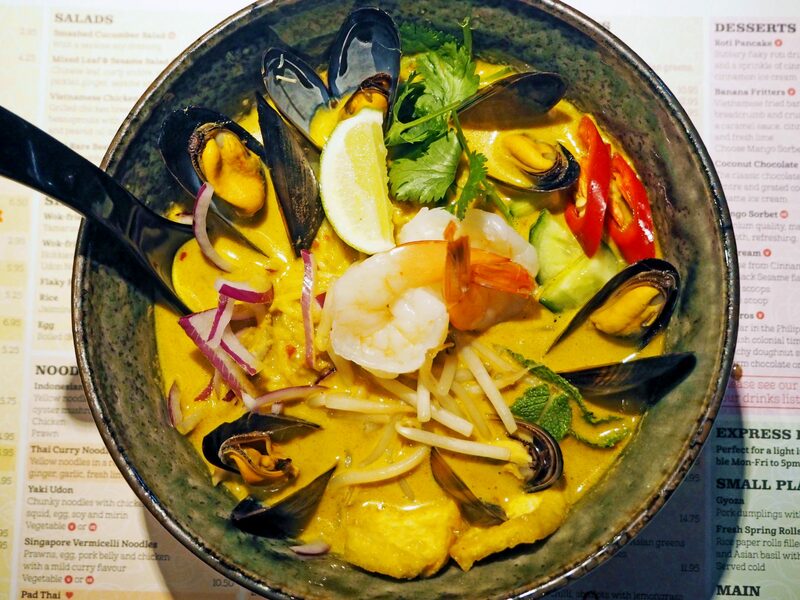 As a seafood lover, I had to go for the Laksa Soup – yellow noodles, king prawns, chicken, squid and mussels in a fiery coconut broth, with mint, cucumber, red onion, tofu and lime. Mine was also a hugely hearty portion, full of flavour and a nice kick of spice. 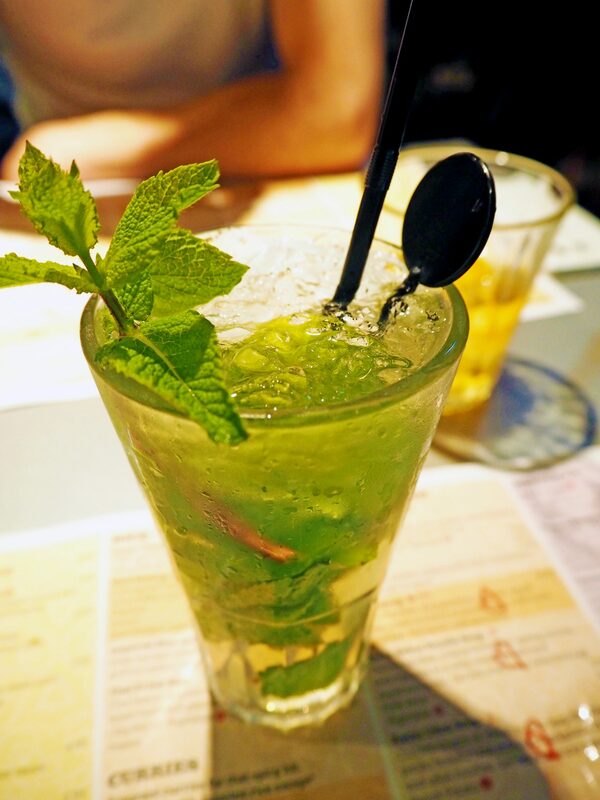 To wash down our meals, I went for a Ginger Mojito, and Jay had an Old Fashioned. 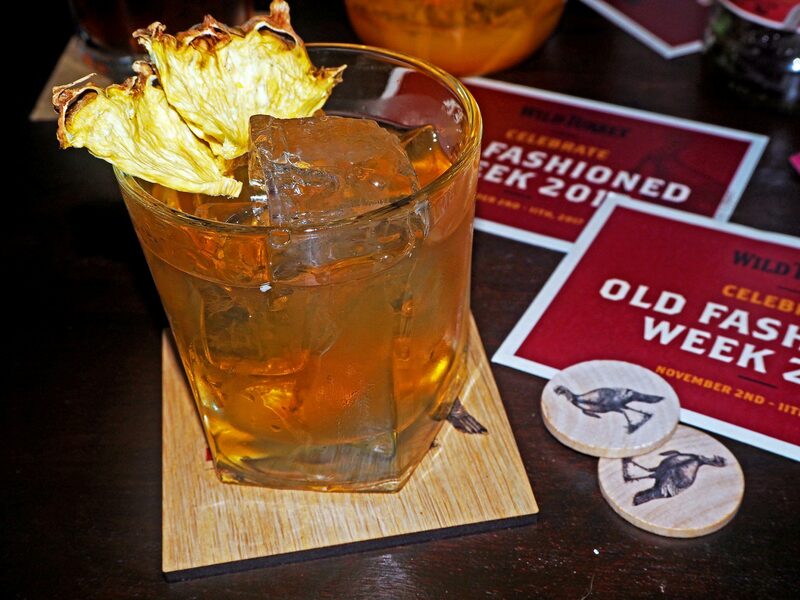 The cocktail menu is a great selection of classics and Tampopo twists, and there is also a wide range of wines, Asian beers, spirits and soft drinks or cocktails for the designated driver. 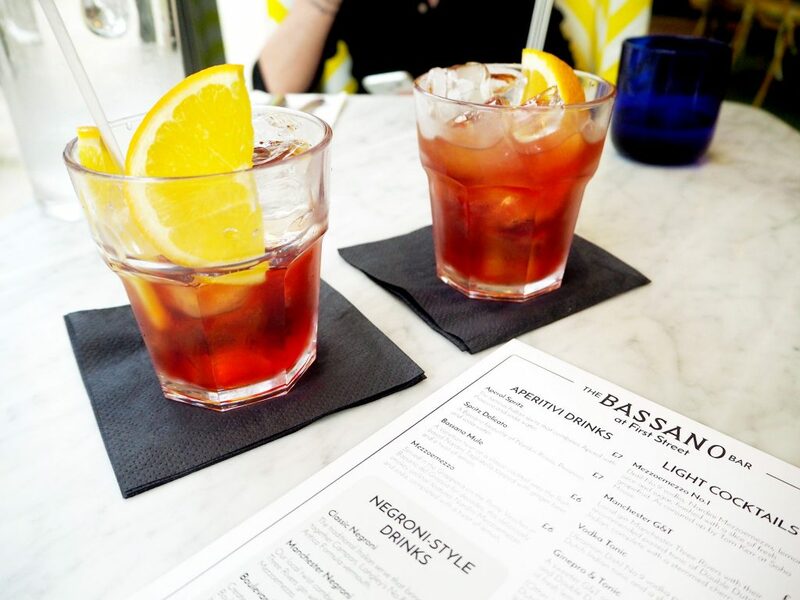 The whole experience was great; the host was very helpful with the menu and any questions, and all of the food was extremely tasty, fresh and flavourful. 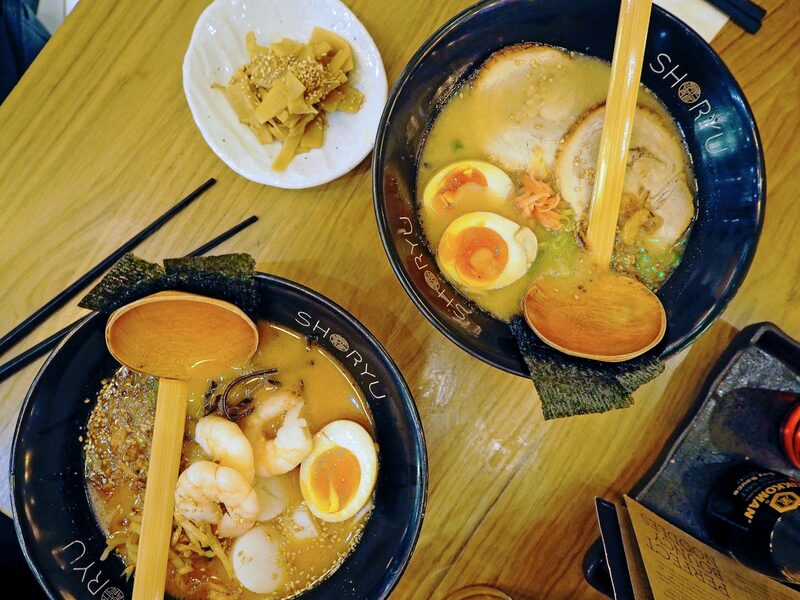 Tampopo also offers takeout and delivery options, so you can enjoy their Authentic Asian dishes from the comfort of your own home. 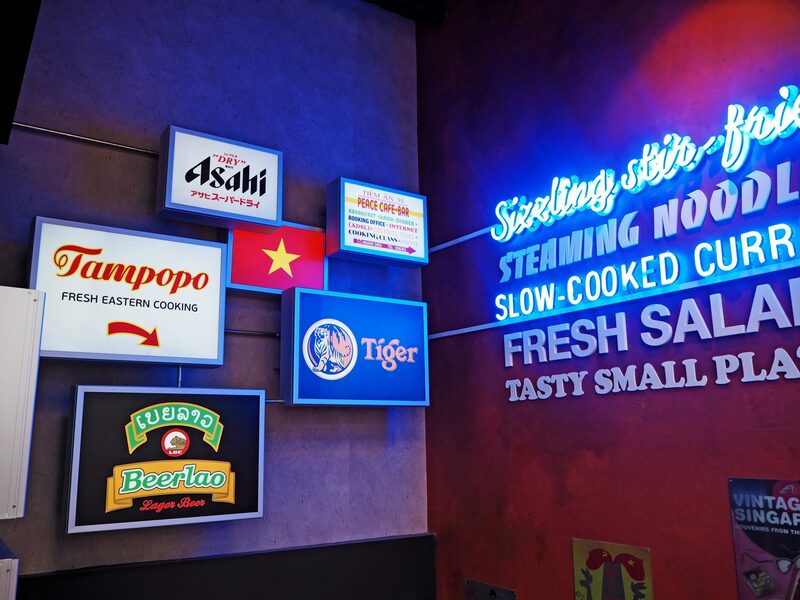 Click here to go to the Tampopo website to check out their menu and find your nearest restaurant.